This way of thinking is always concrete, local, and contextual, but at the same time reaches beyond local contexts to transdisciplinary concerns. The overriding concern here is as follows: while we always come to our interpersonal and cross-disciplinary conversations with strong personal beliefs, commitments and even prejudices, a postfoundationalist approach enables us to realize that, in spite of our radically different reasoning strategies, there is also much that we share in terms of our rational resources. 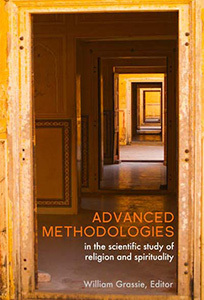 An interdisciplinary approach, carefully thought through, can help us to identify these shared resources in different modes of knowledge so as to reach beyond the boundaries of our own traditional disciplines in cross-contextual, cross-disciplinary conversation. It can also enable us to identify possible shared conceptual problems as we negotiate the porous boundaries of our different disciplines. One such shared interdisciplinary problem is the concern for human uniqueness, and how that may, or may not, relate to human origins and the evolution of religious awareness. 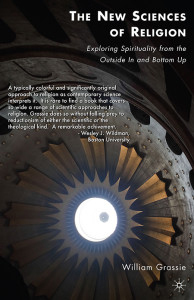 It is, therefore, precisely in the problem of ‘human uniqueness’ that theology and the sciences may find a shared research trajectory. Our very human capacity (or mania?) for self-definition can most probably be seen as one of the ‘crowning achievements’ of our species. As we all know today, however, no one trait or accomplishment should ever be taken as the single defining characteristic of what it means to be human. Morever, what we see as our humanness, or even our distinct human ‘uniqueness’, ultimately implies a deeply moral choice: we are not just biological creatures, but as cultural creatures we have the remarkable but dangerous ability to determine whom we are going to include, or not, as part of ‘us’(cf. Proctor 2003:228f.). Talking about human uniqueness in reasoning strategies as different as theology and the sciences, therefore, will always have a crucially important moral dimension. We do seem to have a profound moral responsibility when defining ourselves, for naming ourselves always assumes a specific kind of reality that gives shape to the worlds we create and experience. It is also important to ask, however, how reasonable (or not) it might be for a theologian, after immersing him/herself in the challenging contemporary debates in paleoanthropology and archeology, to expect scientists to provide a starting point, or important links, for an interdisciplinary discussion of issues like human origins, human nature, human uniqueness, and even human destiny. And last but not least: how realistic is it for a Christian theologian to expect scientists to take theological contributions to these crucially important topics seriously? 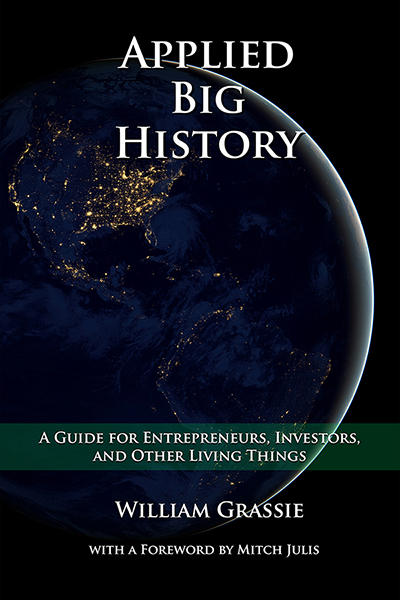 An interesting part of our self-perception is that it is often the less material aspects of the history of our species that fascinates us most in the evolution of modern humans. We seem to grasp at an intuitive level that issues like language, self-awareness, consciousness, moral awareness, symbolic behavior and mythology, are probably the defining elements that really make us human (cf. Lewin 1993:4). Yet exactly these elements that most suggest humanness are often the least visible in the prehistoric record. For this reason paleoanthropologists correctly have focused on more indirect, but equally plausible material pointers to the presence of the symbolic human mind in early human prehistory. Arguably the most spectacular of the earliest evidences of symbolic behaviour in humans are the paleolithic cave paintings in South West France and the Basque Country, painted toward the end of the last Ice Age. The haunting beauty of these prehistoric images, and the creative cultural explosion that they represent, should indeed fascinate any theologian interested in human origins. At first blush there does in fact seem to be a rather remarkable convergence between the evolutionary emergence of Homo sapiens, and Christian beliefs in the origins of the human creature (cf. García-Rivera 2003:9). In a sense the famous ‘cultural explosion’ of the Upper-Paleolithic, although in no sense the ‘beginning of a new species’, does exemplify the most distinctive traits of our species much as the creation myths of the Abrahamic religions refer to the arrival of a new species, created in the ‘image of God’2. But easy comparisons stop here, for in the classic religious texts of the ancient Near East the ‘primal human being’ is seen as the significant forerunner of humanity, and as such defines the emerging relationship between humanity and the deity. The theologian, therefore, needs to be aware that the Genesis 1 texts are meant as clear expressions of the uniqueness of the primal human being, who occupies a position between the deity and humanity, and who is the only one who can lay claim to this distinction (cf. Callender 2000:206f.). Theologically, then, being created ‘in the image of God’ highlights the extraordinary importance of human beings: human beings are in fact walking representations of God, and as such of exquisite value and importance (cf. Towner 2001:26), a tradition that has been augmented centuries later by a very specific focus on the rational abilities and moral awareness of humans. Over against two thousand years of complex conceptual evolution in the history of ideas of theological thought, the prehistoric treasures from the Upper-Paleolithic today seem to have become almost impossible to interpret, their ‘true meaning’ so elusive that it is virtually impossible to recreate any ‘original’ context of meaning in which they were first created. Yet we join paleoanthropologists in sensing that these products of ancient imagery may hold the key to what it means to be human, which for theology may significantly broaden and enrich what is meant today by ‘human uniqueness’, especially if we shift our focus of inquiry to accommodate more contextual and particularist interpretations. For a theologian like myself, interested in interdisciplinary dialogue, precisely arguments for more local and contextual interpretations of paleolithic art are especially intriguing, and it is these more contextual approaches that will resonate with my own postfoundationalist approach to interdisciplinary discourse. A more contextual, local approach would imply that, rather than asking what the enduring meaning of these images may be, we should rather try to understand what made them meaningful for our early modern ancestors (cf. Conkey 1997:343ff.). What is undoubtedly clear is that a full century of the study of Paleolithic art has not produced any definite or final theory about this ‘art’, but rather has brought forth a number of truly conflicting claims. As a serious advocate of a radically contextual approach to interpreting paleolithic imagery, Margaret W. Conkey has warned against too glibly calling Upper-Paleolithic image-making ‘art’, since this superimposes a contemporary Western aesthetic perspective onto our evaluation of these mysterious images. For this reason Conkey and Soffer have recently suggested that our understanding of prehistoric imagery will be greatly advanced if we can manage to decouple this body of archeological evidence about past lifeways from its categorization as ‘art’ (cf. Soffer and Conkey 1997:1f.). These scientists believe that precisely the understanding of this material as ‘art,’ based on unwarranted Western aesthetic assumptions, has greatly constrained our subsequent understanding of the subject matter. For this reason they propose to term this corpus of paleolithic data as prehistoric imagery and, when using the term, put ‘art’ in quotation marks. This growing, and typically postfoundationalist, dissatisfaction with past approaches to prehistoric imagery should be seen as a direct result of prior insufficient attention to the concrete time and places when the images were actually produced and used, and Soffer and Conkey’s views, therefore, embody a strong reaction against unwarranted uniformitarian assumptions and broad ahistoric, abstract, and often decontexualized frames of reference (cf. Soffer and Conkey 1997:1f.). For Soffer and Conkey there are various problematic assumptions at work behind the generally used term ‘art’ for prehistoric images. As defined in the past century, art is a cultural phenomenon that is assumed to function in what we recognize, and even carve off separately, as the aesthetic sphere. It is exactly this aesthetic function that we cannot assume to have existed or functioned similarly in prehistory, and so we cannot assume that the so-called ‘artists’ of 30,000 years ago discovered something that is enduring and true for all humans at all times in all places (cf. Soffer and Conkey 1997:2.). The deeper and more abstract assumption, then, that somehow a trans-historic level of the meaning of this prehistoric ‘art’ may exist, and that this may be ‘true for all humans at all times and at all places’ does seem to be troublesome and highly a-contextual in its own right. Soffer and Conkey’s more particularist and pro-mosaic, contextual approach with its clear transversal intent does seem to resonate well with my own postfoundationalist approach for discerning meaning through interdisciplinary dialogue. Exactly for this reason I have found the notion of transversal reasoning helpful to bring the shifting mosaic of current interpretations in paleoanthropology into direct dialogue with the equally chequered and fragmented history of notions of ‘human uniqueness’ in Christian theology (cf. van Huyssteen 2006, forthcoming). In the interdisciplinary conversation between theology and the sciences the boundaries between our disciplines and reasoning strategies are indeed shifting and porous, and deep theological convictions cannot be easily transferred to philosophy, or to science, to function as ‘data’ in foreign disciplinary systems. In the same manner, transversal reasoning does not imply that scientific data, paradigms, or worldviews, can be transported into theology to there set the agenda for theological reasoning. Transversal reasoning does mean that theology and science can share concerns and converge on commonly identified conceptual problems such as the problem of human uniqueness. By also recognizing the limitations of interdisciplinarity, however, the disciplinary integrity of both theology and the sciences will be protected (cf. van Huyssteen 2003:161ff.). 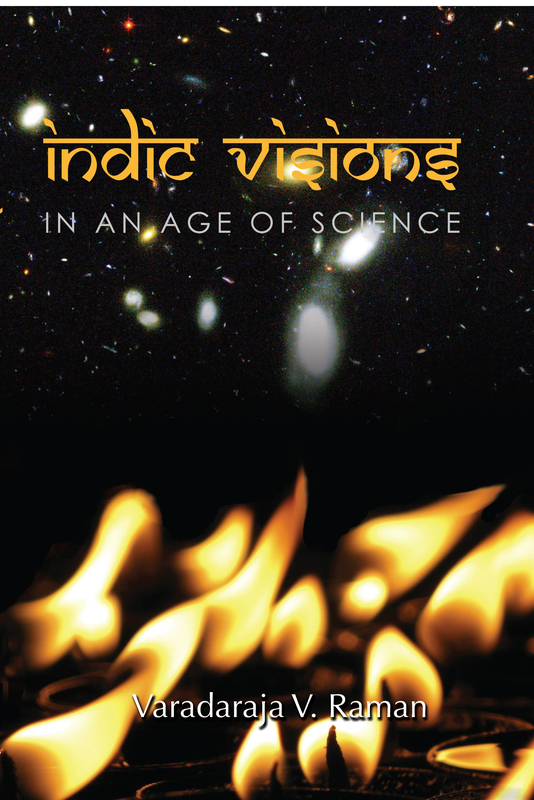 On this view, for instance, the theologian can caution the scientist to recognize the danger of materialist reductionism in scientistic worldviews, even as the scientist can caution the theologian against constructing esoteric and imperialistic worldviews, totally disconnected from the reality of the results of scientific research. These mutually critical tasks presuppose, however, the richness of the transversal moment in which theology and paleoanthropology may indeed find amazing transversal connections on issues of human origins and uniqueness. Furthermore, I believe that the most responsible Christian theological way to look at human uniqueness requires, first of all, a move away from esoteric and baroquely abstract notions of human uniqueness, and second, a return to embodied notions of humanness, where our sexuality and embodied moral awareness are tied directly to our embodied self-transcendence as creatures who are predisposed to religious belief. I would further argue that, also from a paleoanthropological point of view, human uniqueness has emerged as a highly contextualized, embodied notion and is directly tied to the embodied, symbolizing minds of our prehistoric ancestors as physically manifested in the spectacularly painted cave walls of the Upper-Paleolithic. This not only opens up the possibility for converging arguments, from both theology and paleoanthropology, for the presence of religious awareness in our earliest Cro-Magon ancestors, but also for the plausibility of the larger argument: since the very beginning of the emergence of Homo sapiens, the evolution of those characteristics that made humans uniquely different from even their closest sister species, i.e., characteristics like consciousness, language, imagination, symbolic minds and symbolic behavior, has always included religious awareness and religious behavior. 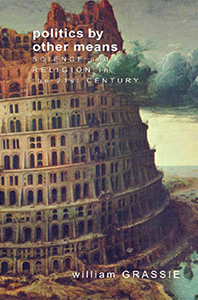 Ian Tattersall has recently argued exactly this point: because every human society, at one stage or another, has possessed religion of some sort, complete with origin myths that purportedly explain the relationship of humans to the world around them, religion cannot be discounted from any discussion of typically human behaviors (1998:201). More importantly, in a very specific sense religious belief may be one of the earliest special propensities or dispositions that we are able to detect in the archeological record of modern humans. It is in this sense, then, that neither history, nor anthropology knows of societies from which religion has been totally absent (cf. Rappaport 1971:23ff.). There is indeed a naturalness to religious imagination that challenges any viewpoint that would want to see religion or religious imagination as an arbitrary or esoteric faculty of the human mind. Therefore, even if we ar not certain what exactly the spectacular prehistoric imagery of the Cro-Magnons represented to the people who made them, it is nonetheless clear that this early ‘art’ reflected a view held by these people of their place in the world and a body of narrative mythology that explained that place. One of the major functions of religious belief has indeed always been to provide explanations for the deep desire to deny the finality of death, and the curious reluctance of our species to accept the inevitable limitations of human experience. This is exactly the reason why it is possible for us to identify so closely with Cro-Magnon rock ‘art’, and to recognize that it goes beyond mere representation and as such often also embodies a broadly religious, if elusive, symbolism (cf. Tattersall 1998:201)3. Against this background it is already clear that certain themes naturally emerge as seminal for the interdisciplinary dialogue between paleoanthropology and theology. It is in these scientific discussions that theologians need to find transversal connections to their own discipline(s). Scholars like Steven Mithen (1996), Ian Tattersall (1998), Merlin Donald (1991; 2001) and Paul Mellars (1990) have all argued that knowing the prehistory of the human mind will provide us with a more profound understanding of what it means to be uniquely human. It certainly helps us to understand a little better the origins of art, technology, and of religion, and how these cultural domains are inescapably linked to the ability of the cognitively fluid human mind to develop creatively powerful metaphors by crossing the boundaries of different domains of knowledge. Iain Davidson has argued that early humans worked out their relationship with their environment and with each other precisely through paleolithic ‘art’, and he sees the burst of image making after 40,000 BP as reflecting the way that these ancestors of ours explored the limits and possibilities of the power of their recently discovered symbolically based communication. Because of this, most scholars in the field would take the Upper Paleolithic as the standard for recognizing symbolism (cf. Davidson 1997:125; cf. also Diamond 1998), although powerful and convincing arguments have now been made by Christopher Henshilwood and his team for a more gradual emergence of modern human behavior in Africa, most notably by the discovery of personal ornaments from around 75 thousand years ago at the Blombos Cave in South Africa (cf. Henshilwood, C., d’Erico, F., Vanhaeren, M., van Niekerk, K., Jacobs, Z., 2004:404f.). For Iain Davidson any kind of symboling power is tied directly to the origins of language: it would have been impossible for creatures without language to create symbolic artifacts, or to hold opinions about the making or marking of surfaces that would eventually turn them into imagery or ‘art’. For this reason Davidson argues that it is precisely the exceptional artistic artifacts from the Upper Paleolithic that give us unique insights into evolutionary processes, into the evolution of human behavior, and into the very nature of what it might have meant to become a modern human. The important question now is, what does the origin of language mean for our understanding of prehistoric imagery? For Davidson one of the most distinctive features of language is the arbitrariness of symbols, and how that necessarily results in inherent ambiguity, especially when compared to pre-linguistic communication systems (cf. the complex calls of Vervet monkeys) which have no possibility of ambiguity because they have been honed by natural selection. One way to cope with the proliferation of this kind of ambiguous creativity was to produce emblems or signs which we, even today, can recognize as in some sense iconic (cf. Davidson 1997:126f.). I believe that successful communication, therefore, requires means of identification that the utterances or images are trustworthy, and in some sense represent a recognizable continuity. We should, therefore, not be surprised to find these kinds of emblems among early language users. We should also not be surprised, I think, that we too are still fascinated by the enigmatic character of these symbolic images and signs, especially since they still appeal to our own aesthetic and symbolic capacities. This argument that paleolithic imagery or ‘art’ is symbolic, and not just decorative, is considerably strengthened by Margaret Conkey’s persuasive arguments against trying to capture the generic ‘meaning’ of paleolithic art as a single, inclusive metatheory, and for a more contextual understanding of the ‘meaning’ of this art as enmeshed in the social context of its time. On this view, the original meaning can only be said to have existed through the contexts in which it was first produced as individual paintings or parts of paintings (cf. Davidson 1997:128). ‘Meaning’, therefore, is not a timeless property of paleolithic imagery in itself, but, as in the case of religious texts, is the result of the interaction, then and now, between the human agents and the material. We also, in our own relational, interactive interpretations of this imagery, discover and produce meaning. Therefore, the symbolism or ‘meaning’ we find in the earliest ‘art’ produced by people like us clearly is a product of our own interpretative interaction with this stunning imagery. What emerges here is an important convergence between theological and paleoanthropological methodology, a postfoundationalist argument for the fact that we relate to our world(s) through highly contextualized, interpreted experience only. For theology, the most important lesson learnt is that, from a paleoanthropological point of view, all talk of symbolism should be seen as part and parcel of turning communication into language, but the use of symbols separate from language could only have been a product of language (cf. Davidson 1997:153). What this implies is that the prehistoric cave paintings in southwestern France and in the Basque Country of Northern Spain could only have had whatever symbolic, expressive quality they did because of the linguistic, symbolic context in which they must have been created. Hence the imagination, productivity and creativity we associate with humans are very much a product of language, which, in both theology and the sciences, make language and expressive symbolic abilities central to a definition of embodied human uniqueness. Throughout the history of paleoanthropological research, one of the primary questions has always been, when did humans begin to think, feel, and act like humans? Central to this question has always been the issue of cognition or creative self-awareness, and how it might be recognized in its initial stages (cf. Donald 1991; 2001). Steven Mithen’s answer to this question is an evolutionary approach to the origins of the human mind, and the development of a three stage typology of cognition that follows the evolution of domains of intelligence from the earliest members of the genus Homo through to their final integration in modern humans. Only in the final phase, in Homo sapiens, do we find a dramatic behavioral break, a ‘big bang’ of cognitive, technical and social innovation with the rise of cognitive fluidity as the final phase of mind development (cf. Mithen 1996). William Noble and Iain Davidson, in a slightly different approach, see one development, namely language, as pivotal in the evolution of human cognition. Here social context is seen as a primary selective force, and language, symbolization and mind are integrated into an explanatory framework for the evolution of human cognition, centered on the human ability to give meaning to perceptions in a variety of ways. Ultimately Noble and Davidson see language as emerging out of socially defined contexts of communication, encouraged as a more efficient form of gesture, with the selection of language occurring because of its efficiency and flexibility (cf. Noble and Davidson 1996; also, Simek 1998:444f.). For Terence Deacon, arguing from a neuroscientific point of view, early symbolic communication would not have been just a simpler form of language; it would have been different in many respects as a result of the state of vocal abilities. Deacon argues that our prehistoric ancestors used languages that we will never hear and communicated with symbols that have not survived the selective sieve of fossilization. And as far as specific Upper-Paleolithic imagery goes, Deacon seems to be in complete agreement with Iain Davidson: it is almost certainly a reliable expectation that a society which constructed complex tools and spectacular artistic imagery also had a correspondingly sophisticated symbolic infrastructure (cf. Deacon 1997:365). Deacon’s argument confirms the transversal impact of paleoanthropology on the interdisciplinary dialogue with theology: a society that leaves behind evidence of permanent external symbolization in the form of paintings, carvings, and sculpture, most likely also included a social, iconic function for this activity. As far as paleolithic imagery goes, then, the first cave paintings and carvings that emerged from this period may not be the first direct expression of a symbolizing mind, but it certainly emerged as one of the most spectacular expressions of the symbolic human mind..
What has emerged from the work of Mithen, Noble and Davidson, Donald, Tattersall and Deacon, and should be of primary interest to theologians working on anthropology, is that human mental life includes biologically unprecedented ways of experiencing and understanding the world, from aesthetic experiences to spiritual contemplation. In a recent article, Terence Deacon makes the important point that the spectacular paleolithic imagery and the burial of the dead, though not final guarantees of shamanistic or religious activities, do suggest strongly the existence of sophisticated symbolic reasoning and a religious disposition of the human mind (cf. Deacon 2003:504ff.). The symbolic nature of Homo sapiens also explains why mystical or religious inclinations can even be regarded as an essentially universal attribute of human culture (cf. Deacon 1997:436), and opens up an important space for David Lewis-William’s persuasive argument for a shamanistic interpretation of some of the most famous of the paleolithic imagery (cf. Lewis-Williams 1997; 2002; Clottes and Lewis-Williams 1996). In trying to find an adequate explanation for modern human behavior during the Upper-Paleolithic, Lewis-Williams has been highly critical of any over-emphasis on intelligence, and the evolution of intelligence, that might marginalize the importance of the full range of human consciousness in human behavior. This reveals a one-sided focus on ‘the consciousness of rationality’, and has marginalized the fuller spectrum of human consciousness by suppressing certain forms of consciousness as irrational, marginal, aberrant, or even pathological. This is especially true in the case of altered states of consciousness, which in science and even within mainstream religion often has been eliminated from investigations of the deep past (cf. Lewis-Williams 2002:121). In a move closely resonating with Antonio Damasio’s recent work, Lewis-Williams suggests that we think of consciousness not as a state, but as a continuum, or spectrum of mental states that includes a trajectory from shifting wakefulness to sleeping (cf. Lewis-Williams 2002:122). In addition to this spectrum of consciousness from shifting wakefulness to sleep, Lewis-Williams also suggests another trajectory that passes through the same spectrum but with different effects. He calls this an intensified trajectory, and it is more profoundly concerned with inward-direction and fantasy. 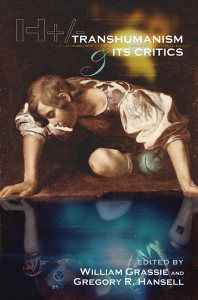 Lewis-Williams argues that dream-like autistic states may be induced by a wide variety of means other than normal drifting into sleep: fatigue, pain, fasting, and the ingestion of psychotropic substances are all means of shifting consciousness along the intensified trajectory towards the release of inwardly generated imagery. At the end of this trajectory there emerges pathological states, such as schizophrenia and temporal lobe epilepsy, that take consciousness along the intensified trajectory. Hallucinations may thus be deliberately sought, or may emerge unsought (cf. Lewis-Williams 2002:124). For Lewis-Williams this second trajectory has much in common with the one that takes us into sleep and dreaming, but there are also important differences. Dreaming gives us an idea what hallucinations are like, but the states toward the far end of the intensified trajectory – visions and hallucinations that may occur in any of the five senses – are generally called altered states of consciousness (cf. Lewis-Williams 2002:125). Lewis-Williams argues that this phrase can equally be applied to dreaming and to ‘inward’ states on the normal trajectory, even if some prefer to restrict its use to extreme hallucinations and trance states. Importantly, all the mental states described here are generated by the neurology of the human nervous system, and they are thus part and parcel of what it is to be fully human. In this sense they are literally ‘wired into the brain’, although we have to remember the mental imagery humans experience in altered states are overwhelmingly, although not entirely, derived from memory and thus culture specific. This is the reason why Inuits will see polar bears in their visions, the San see eland, and Hildegard from Bingen experienced the Christian God (cf. Lewis-Williams 2002:126). The spectrum of consciousness, therefore, is indeed wired, but its content is mostly cultural. – in the first or ‘lightest’ stage people may experience geometric visual percepts that include dots, grids, zigzags, and meandering lines. Moreover, because these percepts are wired into the human nervous system, all humans, no matter what their cultural background, have the potential to experience them. They flicker, scintillate, expand, contract, and combine with one another, and importantly, they are independent of an exterior light source. Lewis-Williams also argues that such percepts cannot be consciously controlled: they seem to have a life of their own. These entopic phenomena (from the Greek ‘within vision’) may originate anywhere between the eye itself and the cortex of the brain. Entopic phenomena should be distinguished from hallucinations, the forms of which have no foundation in the actual structure of the optic system. Unlike neurologically ‘wired’ entopic phenomena, hallucinations include iconic imagery of culturally controlled items such as animals, as well as somatic (bodily), aural (hearing), gustatory (taste), and olfactory (smell) experiences (cf. Lewis-Williams 2002:126f. ).